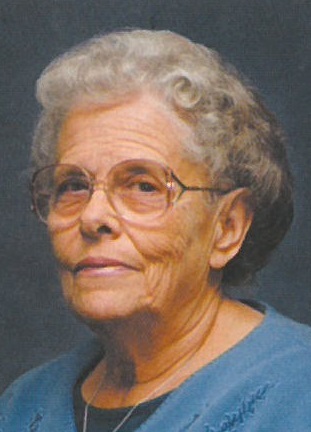 Obituary for Tina B Strasser | Cromes-Edwards Funeral Home & Crematory, Inc.
TINA B. STRASSER, age 89 of Anna, passed away Tuesday, April 2, 2019 at 3:04 AM at Fair Haven County Home. She was born on March 25, 1930 in Piqua, Ohio, the daughter of the late Albert A. and Frances (Shroyer) Vonderhuevel. On June 24, 1950 she married Joseph Strasser who preceded her in death in 1997. She is survived by one son, Gary (Elisa) Strasser of Anna, one sister, Carol Vorhees of Piqua, one sister-in-law, Irene Vonderhuevel of Sidney, two granddaughters, Katrina (Devin) Wenrich of Onalaska, WI, and Kendel (Kellen) Berning of Bowling Green, OH, one great-grandson, Urijah, and one great-granddaughter, Adelia. She was preceded in death by five siblings. Mrs. Strasser moved to Logan County at the age of 3 months from Piqua. She was a 1948 graduate of Quincy High School. She worked at Stolle Corp. and with the American Heart Association in Logan County for 26 years. She was a member of St. Jacob Lutheran Church in Anna where she taught Sunday School and Bible School. She also taught Sunday School and Bible School where she had previously attended DeGraff Presbyterian Church. She also worked in the Food Pantry at Loganville Community Church. She was a member of Miami and Logan County Grangers, Riverside Women, and served as a Cub Scout Leader. Funeral Services will be held Friday, April 5, 2019 at 12 PM at Cromes-Edwards Funeral Home, 302 S. Main Ave, Sidney, with Pastor Bonny Kennunen officiating. Burial will follow at Greenwood Union Cemetery in DeGraff. The family will receive friends on Friday from 10 AM until the hour of service.